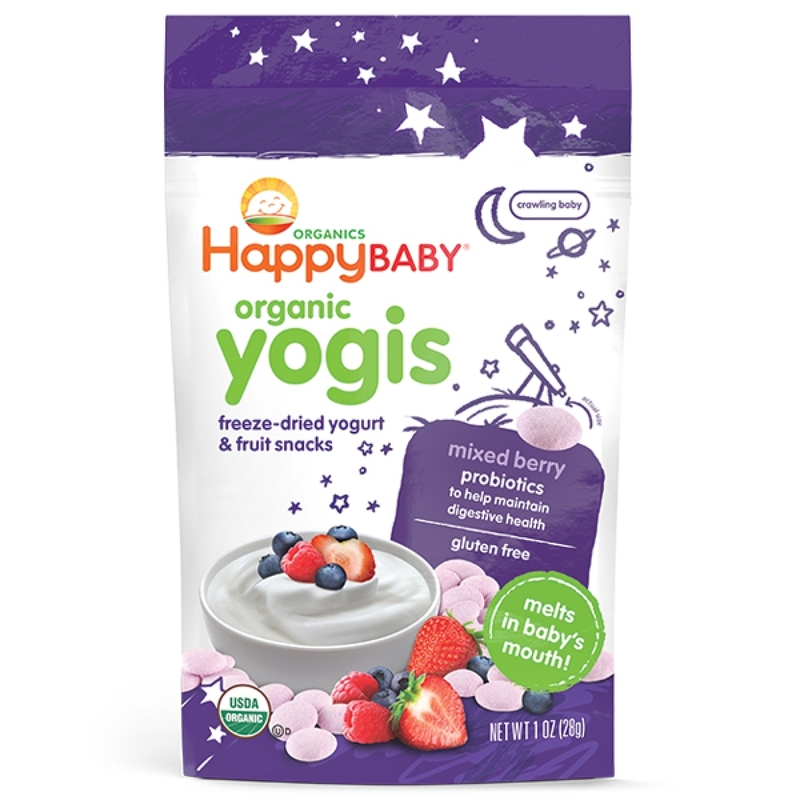 Our Happy Yogis are freeze-dried organic fruit and yogurt drops that melt in Baby’s mouth. They are truly a delicious and nutritious treat made with the goodness of organic yogurt and fruit. This yummy snack offers protein, and the added boost of pre and probiotics for digestive health.